Chelsea are reportedly eyeing the services of an African midfielder who plays in the Serie A, with the Premier League giants said to be considering using a £40 million (R739 million)-rated flop as collateral for the move. Tiemoue Bakayoko was snapped up by Chelsea from AS Monaco in July 2017, but following a disappointing return of 29 starts, two goals and two assists in all competitions, the 24-year-old was subsequently loaned to the Rossoneri, where he has re-discovered his form, cementing his spot in Gennaro Gattuso's starting line up. According to Daily Star, Chelsea are keen on signing Bakayoko's teammate, Ivory Coast international Franck Kessié, who is on a two-year loan deal from fellow Serie A outfit Atlanta. With Milan having the right to purchase both Bakayoko and Kessie on permanent deals upon the expiration of their respective loan deals, Chelsea are hopeful of negotiating a deal which will see the Ivorian being added to their roster, while Bakayoko pens a permanent deal with the San Siro outfit. Bakayoko and Kessie have often been paired alongside each other in midfield this season by Gatusso, whose side are currently on a five-game unbeaten streak in the league. Bakayoko's loan deal with Milan will expire at the end of the current season and the Italian giants will have to reportedly cough up £35.5 million (R656 million) should they look to secure his signature on a permanent basis. 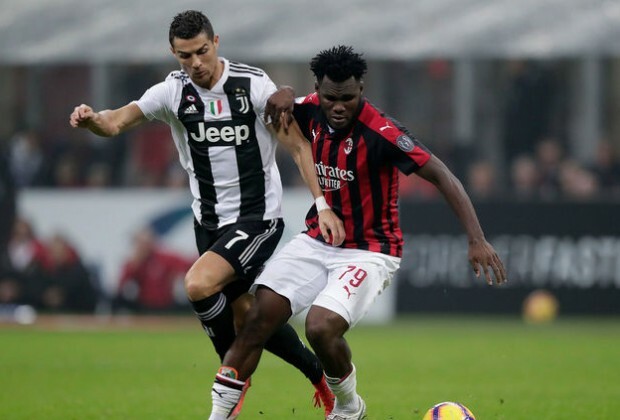 Kessie's two-year loan deal from fellow Italian club Atlanta also expires in June, but Milan are reportedly obliged to purchase the midfielder when his loan stint comes to an end. Do you think Kessie is the ideal signing to bolster Chelsea's midfield? If not, who is? Let us know in the comments section below.